Canada votes today on its new Parliament, marking the end of a 78 day election campaign. The election, which is being called ‘historic’ by most broadcasters, was one of the longest campaigns in modern history and will likely see a new Prime Minster for the country. The major national networks, including CTV, CBC and Global, have all prepared the usual election tools we’ve come to expect. From virtual studios to special sets, here’s how the networks are planning to cover the vote tonight. 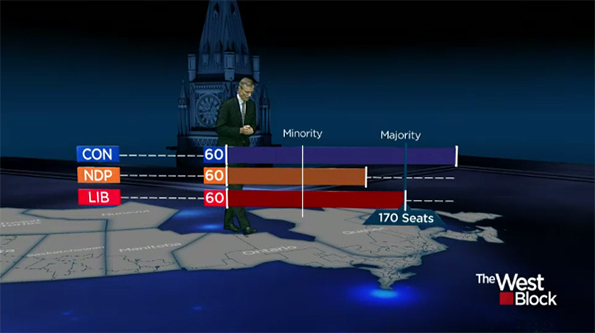 CBC, the national broadcaster, will broadcast from a specially built election set in the networks Toronto headquarters. Located in the atrium of the CBC Broadcast Centre, the set includes large video walls, three desks and plenty of space for analysis. 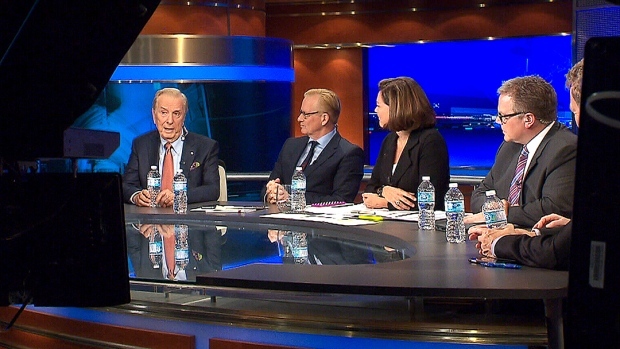 CTV will use a new, state-of-the art, election set, with Lisa LaFlamme leadings its coverage from Toronto. The network will feature 60 reporters in the field and a studio audience at Studio 338 for live reaction and analysis. 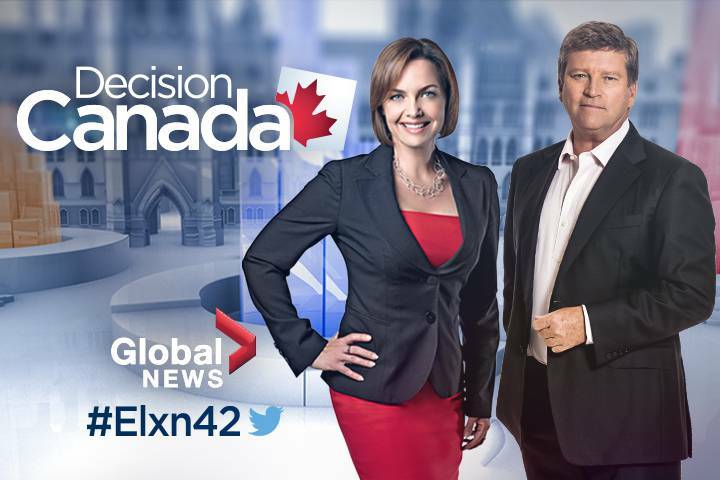 Global will make extensive use of virtual graphics for its “Decision Canada” coverage. Broadcasting from Toronto, the coverage will include embeds from the various campaign headquarters, with many pundits on set.